Without the right marketing efforts, nobody would know about your great business and what you have to offer. More and more people are discovering that they need to market their business online, if they want to be successful. Facebook is by far the BIGGEST Social networking site on the planet today and projections show it will continue to grow. Many people are wasting their time on Facebook and don't have the know-how to create proper lead-pulling facebook page by themselves. Most people also don't know how to monetize these business pages properly. Some people even have great facebook pages, but can't drive enough "fans" to their pages and just don't know how to market their page properly. Many business owners have heard of Facebook Ads, but are too scared to invest money in this method. Some business owners want to setup their business on facebook, but discovered that it could cost hundreds or even thousands of DOLLARS to outsource this task to a professional. Don't WORRY, its NOT your fault! TODAY, I have the solution for YOU. As a facebook marketing expert, I have decided to create an easy-to-follow course for you, so that you can put your business on Facebook YOURSELF and learn how to market you business with it. 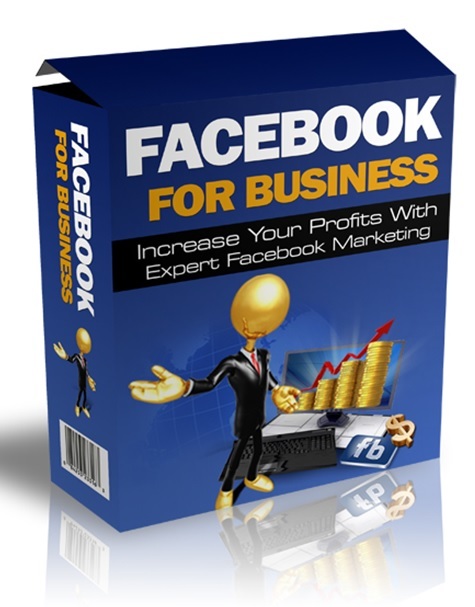 This comprehensive ecourse will turn you into a Facebook Marketing Expert quickly and easily and will SAVE you HUNDREDS of dollars and hours of your time. You can EVEN give this course to one of your employees to setup your business on facebook FOR you. The course is so simple to follow, even a primary school kid can do it.